Recycling (as an industry) is the collection, separation, recovery and sale or reuse of metals, glass, paper, organic waste, plastics and other materials which would otherwise be disposed or processed as municipal waste. Reuse can be defined as actually reusing an item for which it was originally intended (remember glass soda bottles? ), or refabricating items into other useful products (purses out of old license plates). Keep material out of the landfill. Recyclables have value if gathered in sufficient quantity. Recycling provides safer handling than unmonitored disposal. Landfill space can be used for waste that has no other disposal alternative. Reduce the need for virgin material. Less recycled content material is needed than if the same item was made using virgin material. 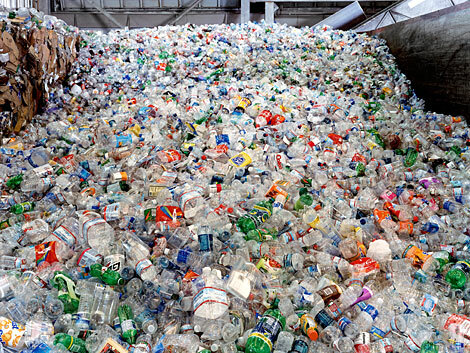 Manufacturing using recyclables as feedstock requires substantially less energy than when using virgin material. Energy is saved because recycled material feedstock does not have to be mined, transported, and processed before it is manufactured into a usable product. Sound familiar? For all of our achievements of the last 20 years, we’re still dealing with the same issues today, not just in Westmoreland County but across the nation. 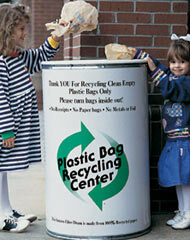 Recycle 25% of PA’s solid waste stream by January 1, 1997. Reduce waste going to landfills. Increase the use of products that are recyclable or made from recycled material. Educate each person in the Commonwealth as to the value of recycling and waste reduction. All municipalities with populations over 10,000 were the first to be mandated. Recycling ordinances and programs had to be in place by September of 1990. Municipalities with populations over 5,000 and more than 300 persons per square mile were mandated in the second phase; recycling ordinances and programs had to be in place by September of 1991. In addition to residential (curbside) recycling, all commercial, municipal and institutional establishments located within those municipalities were required to recycle according to the local municipal ordinances established. Municipalities with populations less than 5,000 were exempt from the mandate. All municipalities must submit annual reports to the county detailing the progress of their recycling programs. A county solid waste plan be in place by March, 1991, to be reviewed and revised as necessary every 3 years. The plan must ensure 10 years of adequate disposal capacity for municipal solid waste (MSW). A county submit annual reports to the state, based on the reports received from the municipalities, to document recycling efforts within the county. 3% maximum – fund administration. Up to 10% – processing and disposal feasibility studies. Up to 30% – public information programs and technical assistance. Minimum 70% – grants, studies and research to support recycling, market development and waste reduction. The basic provisions of Act 101 are still in place and are the law of the land for mandated municipalities and commercial/municipal/institutional establishments. The act was revised twice to strengthen and/or clarify some of the provision and to extend the funding provisions from its initial sunset date of 1998. All residents must be required by ordinance to have waste and recycling services. Must have an implemented residential curbside recycling program. Must facilitate a commercial recycling program. Must provide semi-annual residential and commercial recycling education. Enforcement Program (includes designated enforcement person or entity). Special Materials Program – for the collection of special waste such as tires, white goods, HHW, etc. Must have provision for or participate in county, multi-municipal, or private sector collection effort. Anti-Littering Program – through practice and/or education; sponsor, facilitate, or support programs that address anti-littering and illegal dumping. Recycling Coordinator – must have a designated person or entity responsible for recycling data collection and reporting.